The recent ruling by Florida’s Second District Court of Appeal in the case of Debbie Weber v. Marino Parking Systems, Inc. provides some clarity for valet companies in this situation. The court upheld the lower court’s dismissal of the lawsuit, which was filed on the grounds of wrongful death by Weber against the valet company after it returned the vehicle to an obviously intoxicated driver who then got into accident that caused the tragic death of his passenger, the plaintiff’s daughter. 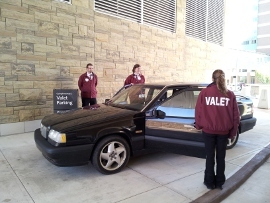 The court ruled that a valet parking service does not owe a duty to third parties to refrain from returning a vehicle to an obviously intoxicated driver. In its ruling, the court acknowledged that cars, just like firearms, are dangerous instruments, but unlike gun sellers, a valet is not acting as a seller, lessor, donor, lender or bailor in providing its services. Instead, it serves as a bailee, which is defined as one who holds property for another. Bailees, the court concludes, do not have a superior right to control the property, which means that valets have no discretion to refuse to return the vehicle without potentially being liable for a conversion. While this ruling does seem to shield the valet parking service providers from legal liability in these cases, there are other measures that the valet companies and the condominiums and condo-hotels which retain them can and should take to dissuade intoxicated individuals from demanding their vehicles and driving off. These include hiring off-duty uniformed police officers to provide on-site security for large parties and special celebrations, and coordinating with local taxi companies to have taxis available for these events. The horrors of the consequences of drunk driving are too serious to ignore, and we encourage valet companies and the properties that they serve to take all of the precautions at their disposal to avoid enabling intoxicated individuals from getting behind the wheel.